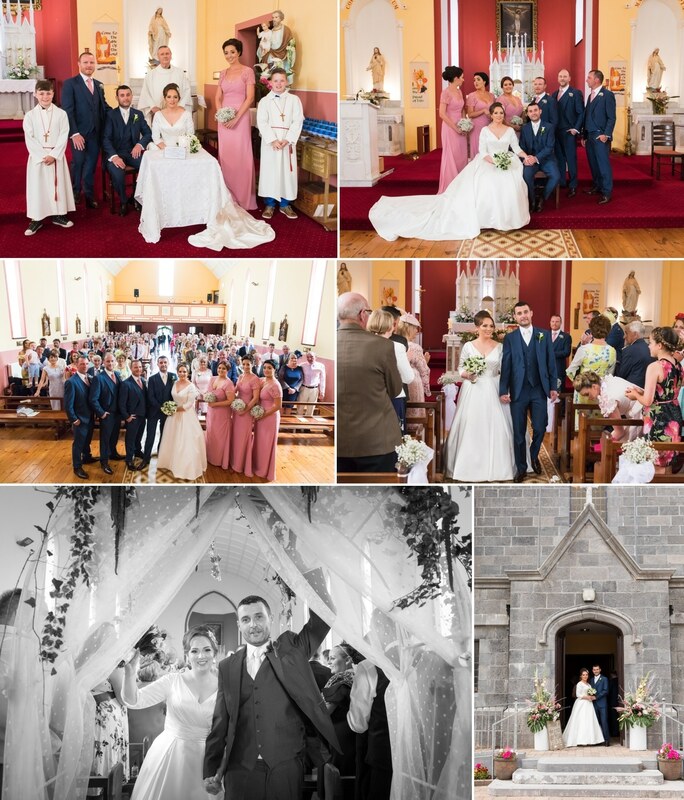 I photographed Claire and Shane’s Castlecoote Church and Abbey Hotel wedding in Roscommon last year. 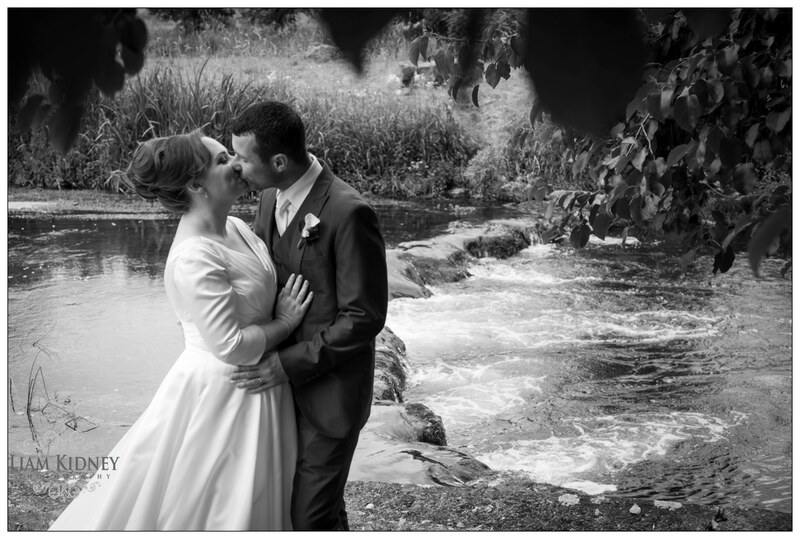 I recently caught up with them and asked them a few questions about their wedding day and I asked them if they had any advice from their special day. Claire spotted Shane across the room in a pub in Luton, Shane disappeared home but Claire went investigating. She got chatting to Norman (who it later turned out lived with Shane). Claire & Tess (A girl Claire was living with at the time in Luton) went out on another night out. It was a fund raising night in an Irish Club in Luton. There Claire spotted Norman & stood right beside Norman was Shane. I (Claire) made my way towards the pair & started talking to Norman. Not long after I was chatting to Shane and as they say the rest is history! Shane proposed on a holiday in Gran Canary. It was on the day of our third year anniversary. It was by the marina and he proposed with a diamond in a box, we later got the diamond put into the engagement ring after I picked the type I wanted. 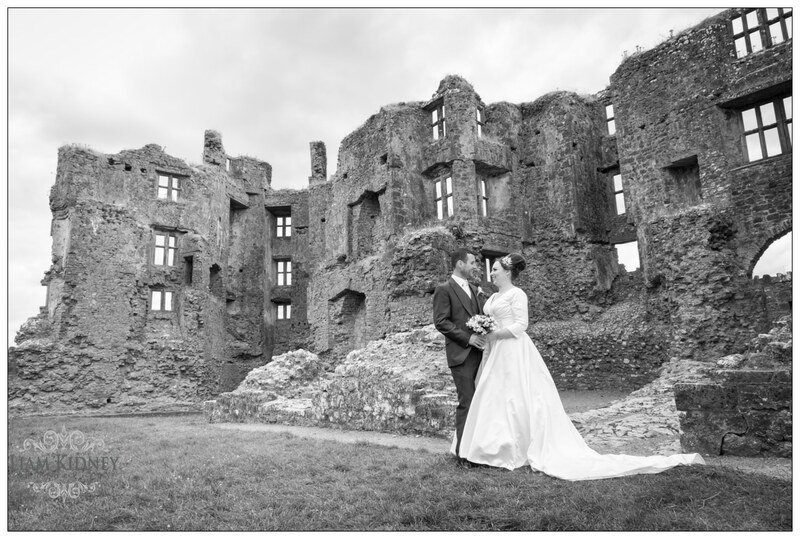 What was important for you both when planning your wedding? Claire did 99% of the planning. I wanted to ensure that we didn’t scrimp on anything but at the same time I felt we didn’t waste money on stupid things/things that we felt were not relevant. Things that people would not remember. People are still talking about the delicious food both days as we had a BBQ the next day. The music both days as we had a band again the next day & how relaxed the day was, everyone had a great time. 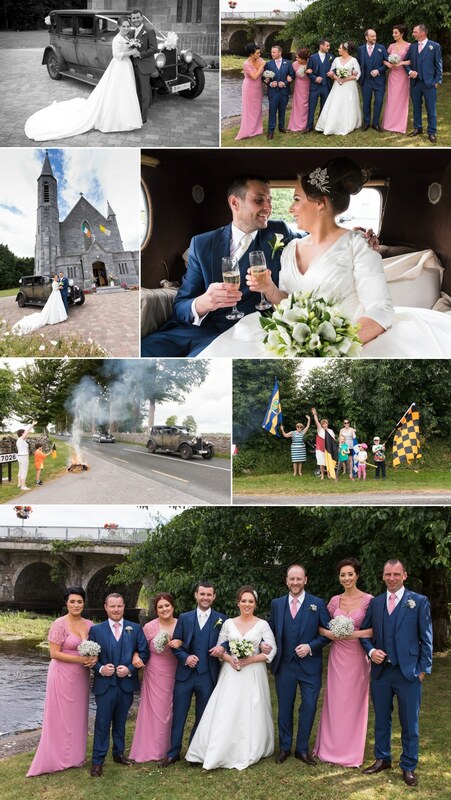 Some people have commented on how relaxed me and Shane were and that made everyone else relax & enjoy the day. Did you have a wedding theme? No theme. Kept things nice & simple. In the UK as that’s where we are living at the minute. Ivory & Lace was the name of the shop and was located in Toddington. Where did you get the Bridesmaids Dresses? Also in the UK, the name of the shop was Mignonette and located in a place called Slip End. 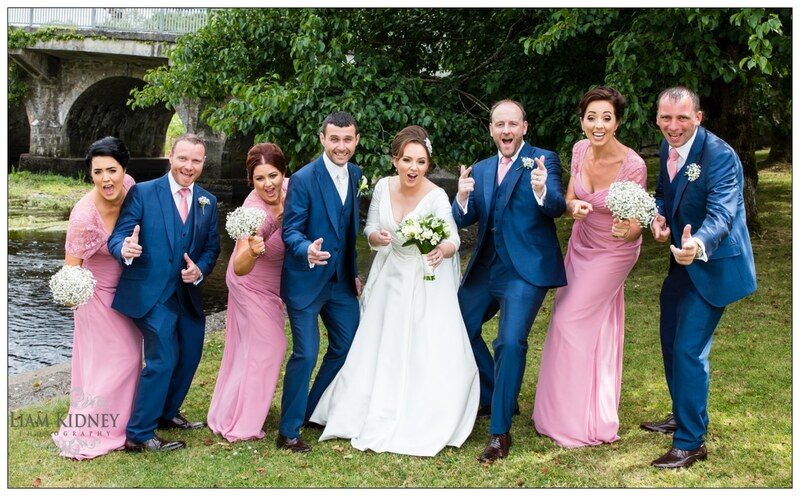 Where did the groom and the groomsmen get their suits? Also in the UK in a place called Fogarty’s and that shop is located in Leighton Buzzard. Who did your hair and make up? Harriette McCrann Brennan from Icon’s Salon in Drumsna came to the house. 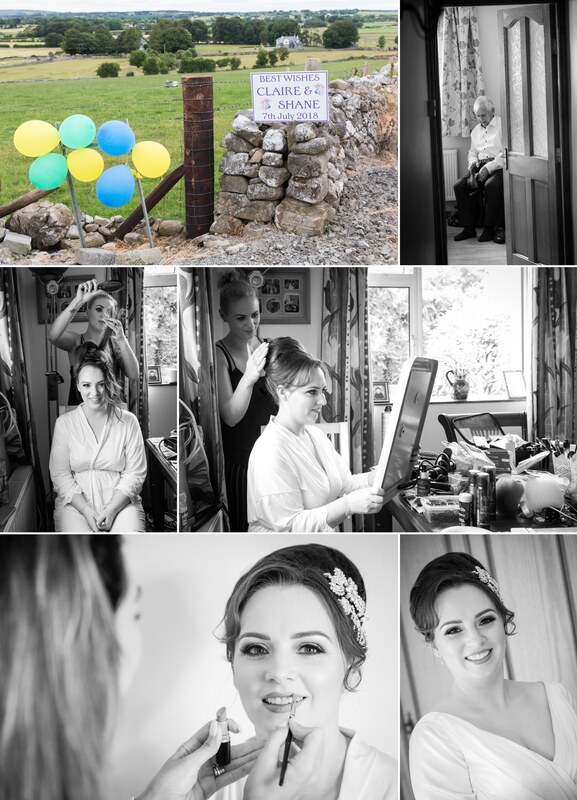 Mrs. Make Up (Michelle Regazolli Stone) from Ratoath came to the house to do all our Make-Up’s. What do you remember most from the ceremony? I think sitting there and trying to take everything in. All the planning you do and seeing it come together. Although there is bits you just don’t take in, don’t have the time to do it. Like we had a flower arch at the back of the church which I walked through twice & don’t remember. I was relying on photos & videos to see this after. 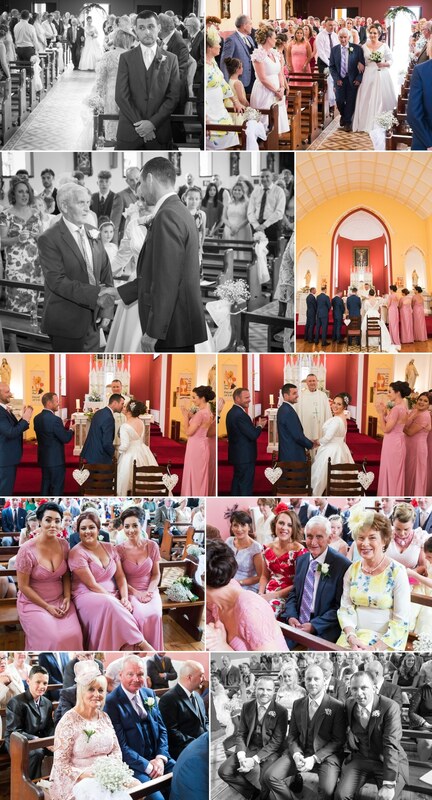 What was special to you in the ceremony? My Dad walking me up the aisle as we were not sure if he would be fit enough to do it. 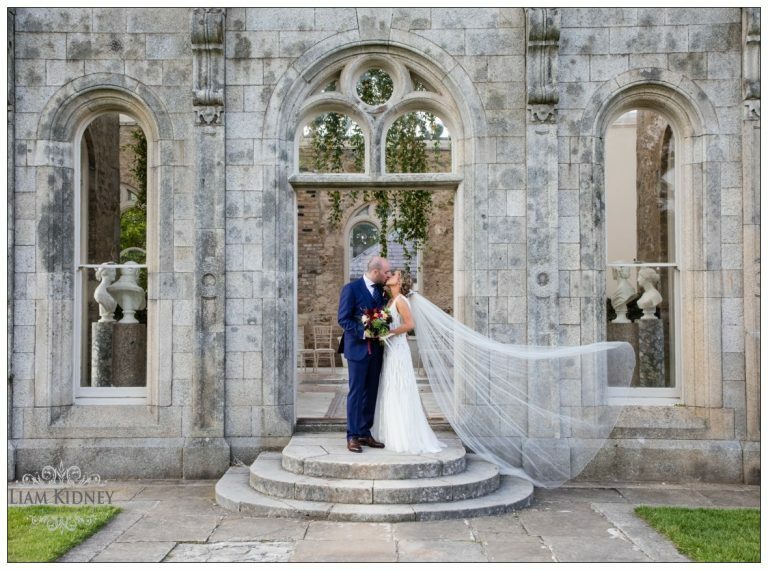 It was close to home, I didn’t want people travelling too far from the church to the reception, the Abbey hotel are well known for their food quality, they have lovely grounds and the hotel setting is fabulous. Seeing all the preparation coming together and having everyone there, family, friends & neighbours. Have you any advice for future couples planning their wedding? As everyone says don’t spend too much on small things, people just don’t remember after the day. Good food, good venue (as in service etc.) and good music is really all that people really remember. And for the couple themselves a good photographer and video man as you can look back and see what you missed on the day and keep remembering the day. Band – Heebie Jeebies http://www.theheebiejeebiesband.com/. They got the crowd going and the floor was full all night, highly, highly recommended. Photographer – Liam Kidney https://www.liamkidney.com/. 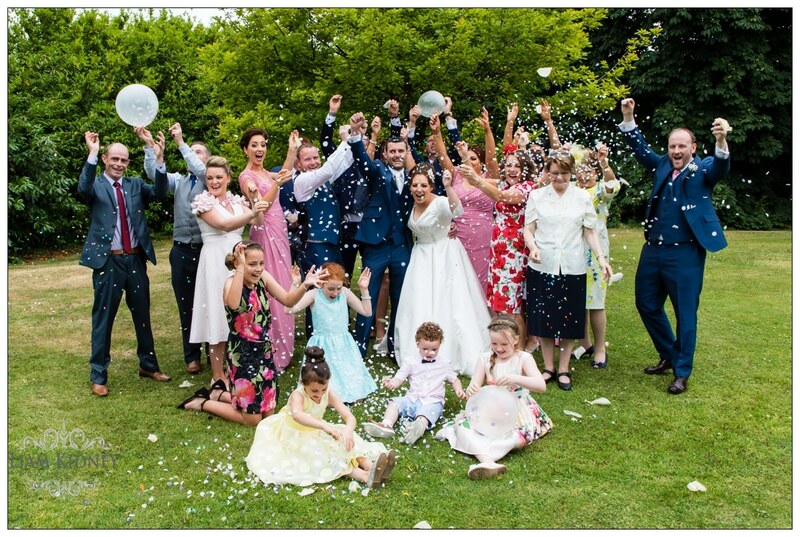 Absolutely delighted with our photos from the day. Liam catches moments and pictures that really stand out. He pushed me on the day for a few extra shots and now we are so glad he did. 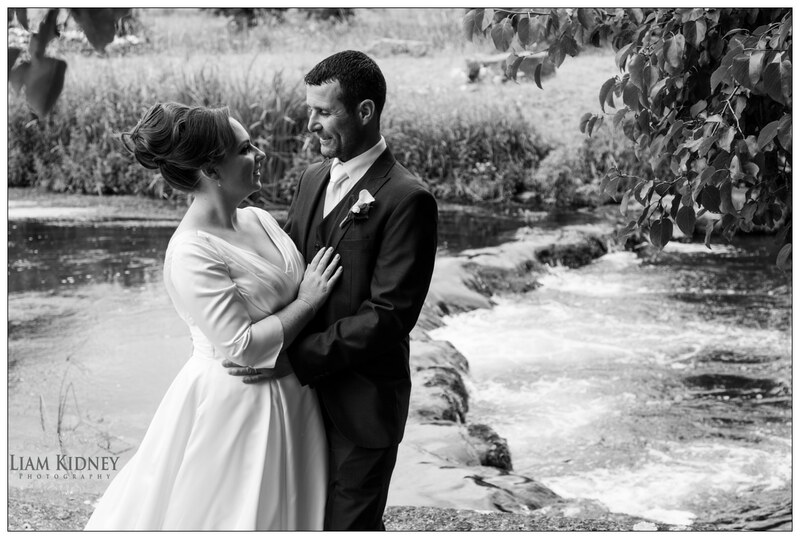 We will struggle to pick photos for the album as they are all so good. Hair – Harriette McCrann Brennan https://www.facebook.com/pages/Icons-Hair-Salon/531375886912427. From day one I found Harriette to be so involved. She was perfect & wanted to do 100%. Harriette is your woman if you want something different. Make-Up – Mrs. Make Up http://mrsmakeup.ie/. Michelle was excellent, did a fantastic job on us all. Make-up was still perfect at 4am with only one touch up of lipstick and powder once since she did my make up at 11.30 that morning. Good make-up is essential for your photos too, I think. My only advice here to the ladies is if you are planning on starting any new skin regime to start about a year before the wedding. There is absolutely no point in starting anything new just few months or weeks before the wedding, it won’t have any effect on your skin. Selfie Mirror – http://selfiemirrorbooth.com/selfie-mirror-hire-magic-mirror-hire-photo-booth-hire-amazing-mirror-event/. This went down an absolute treat with everyone. It was used for the full time that it was available. The best thing about it, it’s not like the booths that only a few people can cram into. You just have to stand in front of the mirror. 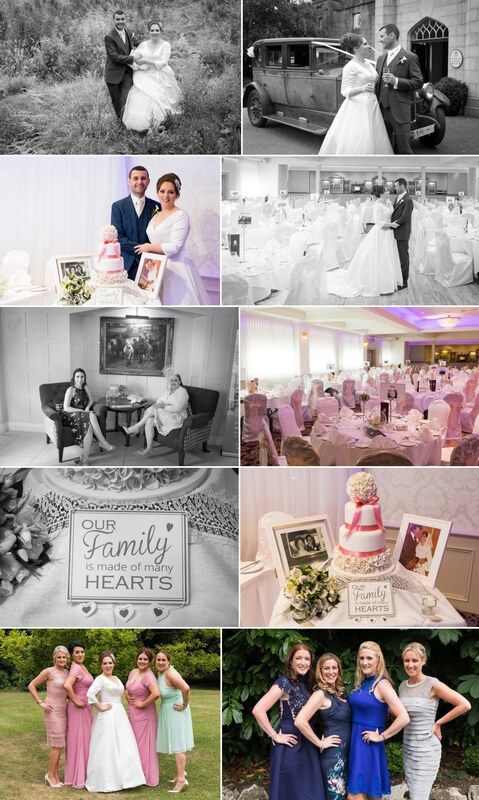 Everyone that used it got to take the pics home and we also got a guest book with all the pics from the night. Was very funny to look back on. Cake – We went with a fake cake, was a great idea. I found that real cakes were just way too expensive. It was something we felt didn’t justify the price. We would have had to have a big enough cake as we had 220 guests. No one missed not getting a piece and it looked great in the photos. https://www.nfcakes.ie/. If you are debating having a video or not, do it, 110%. 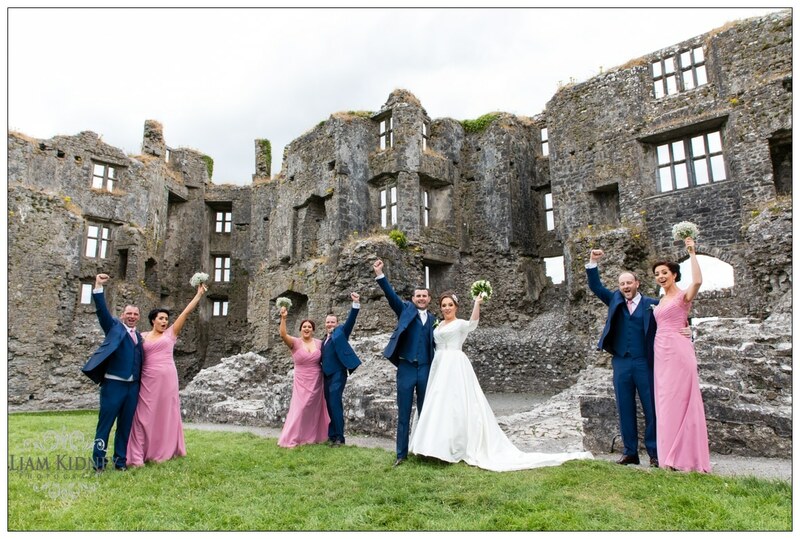 Flowers: – http://www.siobhancollinsweddingflorist.ie/ . 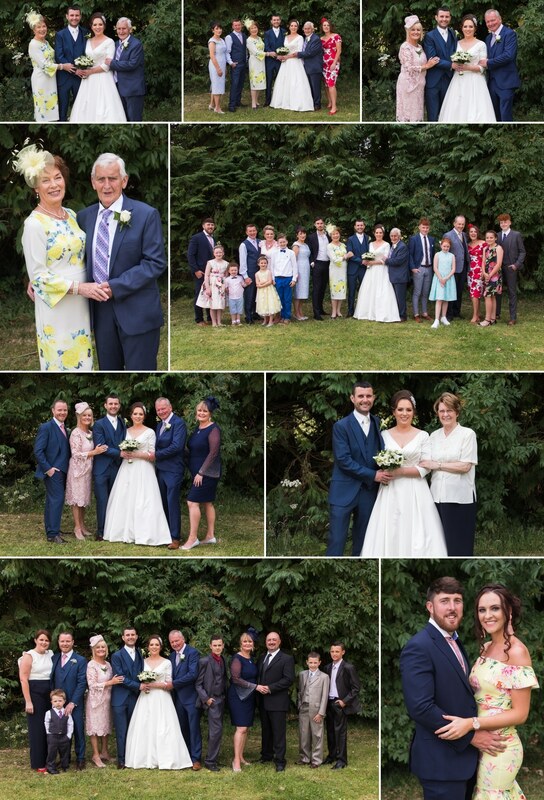 Siobhan did a fantastic job on the flowers and I found here very reasonable price wise. Very stress free process, I was finding it hard to pick my bouquet and she was very patient and very helpful in choosing flowers. 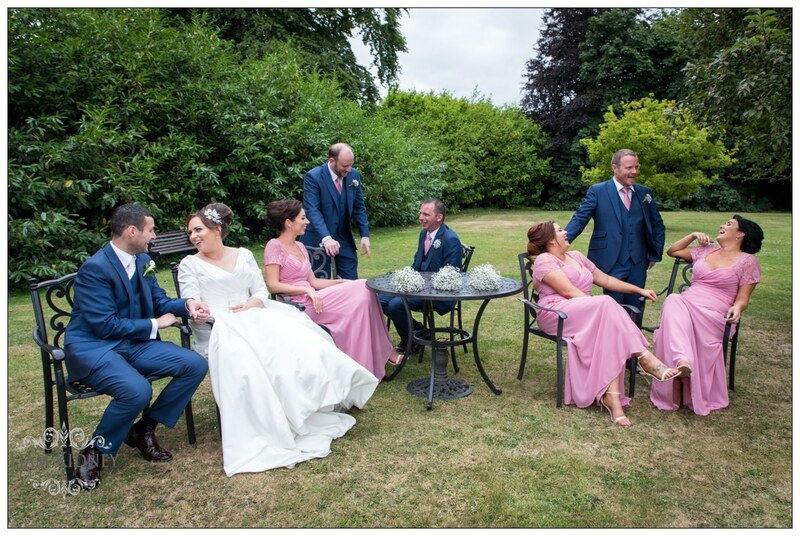 She came to my house on the day and also meet with all the lads on the morning to do their buttonholes which was a good help.